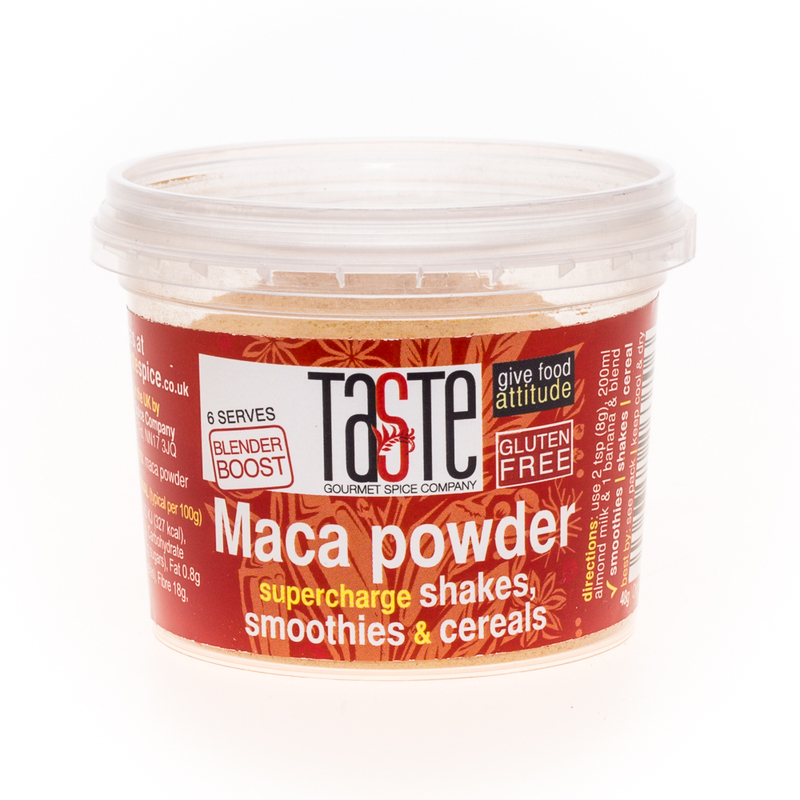 Maca Powder is very nutritious & a great source of several important vitamins & minerals. It is high in protein & carbs & rich in a number of nutrients, including vitamin C, Zinc, Vitamin B, Potassium, Copper & Iron. In fact, it has 5 times more Iron than Spinach & 3 times more Vitamin C than an orange. 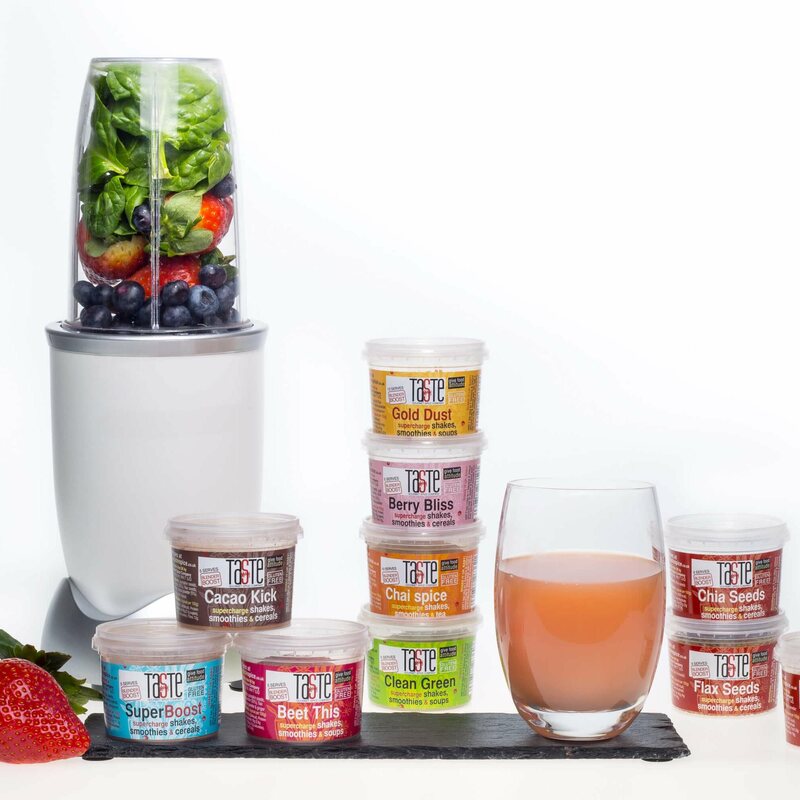 It also contains many bioactive plant compounds. The Maca plant is sometimes referred to as Peruvian ginseng. Grown mainly in Peru at very high altitudes Maca is a cruciferous vegetable & related to broccoli, cauliflower, cabbage & kale. The main edible part of the plant is the root which is generally dried & consumed in powder form. Maca is a low glycaemic index (GI) carbohydrate source, meaning it is digested slowly in the body giving a continuous release of energy throughout the day. It is also a complete protein, containing all of the essential amino acids whilst also being a good source of vitamins & minerals. Maca has a rich, slightly sweet, caramel-nutty taste so is popular for use in smoothies, juices or in protein shakes.For a great smoothie, add 2 tsp (8g) of Maca Powder to a blender with a banana & 200ml almond milk (or your favourite alternative) & blend well. Add berries too for an extra boost. One of our favourite treats is Maca Nice Cream: freeze two chopped bananas, then add them to a food processor or blender, with just a splash of roasted hazelnut milk (or almond milk, etc) and 1 heaped teaspoon of Maca Powder, then blitz until smooth. You won't believe how good this tastes! If just used like this, the pot contains around 5 servings, so it's great value.